I completed my GCSE’s at Nunnery Wood High School in Worcester. Towards the end of my school life I began to worry about what my next step would be, Worcester Sixth Form College was one option as I had secured a place there, but I wanted to explore other opportunities before making a final decision. I had heard great things about apprenticeship opportunities through HWGTA (Hereford & Worcester Group Training Association) so I decided to apply for a finance apprenticeship, as that was the area I had most interest in. HWGTA then arranged an interview for me with Sanctuary Group which resulted in them offering me a place on their apprenticeship scheme. Although I believed an apprenticeship would be a great opportunity, I was unsure as to whether finance was definitely the career for me. After a great deal of consideration I decided at that time It would be best for me to attend the Sixth Form College and study subjects related to finance, such as Accounting, Economics and Business Studies. When I informed Sanctuary about my decision they were very supportive and encouraged me to consider applying again in the future. After spending 3 years studying at Worcester Sixth Form College I had secured high grades in Accounting and Business Studies and it then became clear that finance would be my career choice. Because of the grades I achieved a lot of my friends and tutors encouraged me to apply to go to university to continue my studies in finance. By this time I had already made up my mind that the apprenticeship route would be my next step. Many of my friends didn’t understand why I didn’t want to go to university and tried to convince me to go, but I was sold on the idea of gaining valuable experience of the workplace while also gaining another professional qualification, that the apprenticeship could offer me. So I applied for an apprenticeship through HWGTA and again was invited for an interview at Sanctuary Group. When I attended my interview I noticed that the size of the site had almost doubled and there was now more buildings with more office space than there was 3 years ago. In 3 years the company had grown and developed so much. During the interview I was told more about the apprenticeship programme than I was previously and the more I heard, the more confident I became that I made the right choice in going down this route. After the interview I reflected on the progress Sanctuary had made in 3 years and I started to believe that Sanctuary and an apprenticeship would be perfect for me to continue my own development, maybe I could achieve similar things in 3 years as an apprentice. A few days later I received a call from HWGTA informing me that Sanctuary would like to offer me place to do the finance apprenticeship and that my start date would be 29th July 2013. I guess this was a pivotal moment in my work life. I had just secured my first job! I was excited and anxious about the opportunity as I had no experience of a work environment. However I was assured to find that 2 weeks into my apprenticeship HWGTA would give us an induction week, where we would receive training sessions on various skills required in the work place. These sessions would include telephone skills, communication skills, customer service skills, presentation skills and team building exercises. These are all vital skills that are required for a successful career. Over my 3 years on the apprenticeship programme, not only have I completed my studies to become AAT qualified, I also completed a Level 4 Diploma in business skills through HWGTA. As part of the apprenticeship programme I was given the opportunity to spend time in various areas of the business which has allowed me to develop my skills and knowledge of both finance and Sanctuary. I started in the Income team before moving to Accounts Payable, Development Finance and finally Capital Accounting where I now have a permanent position. On top of the work placements, I have also had opportunities to get involved with lots of activities with other apprentices, such as team building work shops and meeting directors. I also created an apprentice welcome pack for the new intake of apprentices in order to help them settle into their roles. Off the back of this I delivered a presentation to them with a fellow apprentice so they could learn more about the apprenticeship programme and we could share our experiences with them. Sanctuary has been very supportive of the development of apprentices and decided to arrange a CV writing and interview skills session for apprentices that would soon be completing the programme, to prepare them for the job application process. Sanctuary has also given me the opportunity to gain Interview experience by allowing me to interview for new apprentices. Sanctuary often produces promotional material such as videos, to promote their apprenticeship programme, and I was lucky enough to get involved in the creation of a recent video where we encourage people to apply for an apprenticeship. I have also been encouraged to apply for Sanctuary’s employee volunteering scheme which is open to all staff. Through this scheme I spent 2 days at Fort Royal Primary School for disadvantaged children. I felt I made a big difference to one particular child over the 2 days and received great feedback from the teacher. The teacher told me that it was clear to see the influence I had on the child’s attitude which was extremely rewarding. The volunteer placement also developed my communication skills as some children had difficulty communicating. This is a valuable skill in the work place and I am thankful to both Sanctuary and the school for allowing me the opportunity to get involved in the community while also developing skills I can use in the work place. Throughout my apprenticeship I have worked very hard to develop myself and others and during 2016 I was chosen as Sanctuary’s nomination for the Worcestershire’s Higher Level Apprentice of the year. 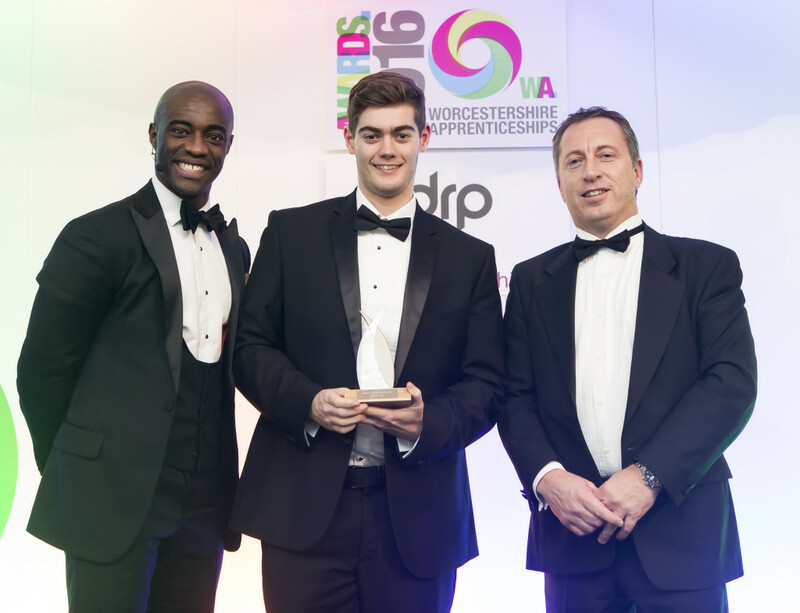 In November 2016 attended the Worcestershire Apprenticeship Awards and was named winner of The Higher Level Apprentice of the year. I was overwhelmed by all the support I had received from Sanctuary, HWGTA and my fellow apprentices. They all played a big part in my development and ultimately achieving this great success. I am very thankful to them and would not have been able to achieve this without their support. During my 3 years as an apprentice I learnt a great deal, not only about finance or Sanctuary, but about myself and what I want to achieve in the future. I have found that I enjoy helping others and celebrating their successes. I am now the level 2 apprentice coordinator at Sanctuary and am responsible for overseeing their journey on the apprenticeship scheme. I hope to be able to celebrate their success with them in the years to come! I look back over the past 3 years and I consider myself to have progressed and developed more than I could have imagined. That is down to the apprenticeship and the support I received through out. My aim is to now inspire others, who like me, may be anxious about starting work, to follow in my footsteps and work hard to develop themselves and other around them. An apprenticeship really is the first step towards a career and if you work hard enough, it is amazing what can be achieved.